Removing mould from your home with baking soda is an environmentally green solution, and it’s particularly safe to work with compared to the more toxic solutions like bleach, especially if you have children and pets to be concerned about. Baking soda is better at removing light mould infestations, it’s not as strong as other products like bleach. Baking soda is an extremely convenient solution to tackling mould because most households has some tucked away. Not only does it remove and help prevent mould growth, but it also deodorizes- it’s commonly used to remove odors from fridges. 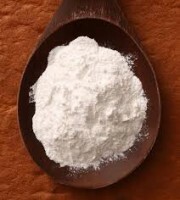 Mix the baking soda with with (50/50) until it forms a paste. Apply paste to infected area and allow to dry. Scrub infected area with the toothbrush until the mould is removed. Wipe away any mould debris and remaining paste. Mix 2 tablespoons of baking soda to 2 cups of water and pour into the spray bottle. Shake well, and spray the area that was just cleaned. Allow area to naturally dry. Shake well, and spray the area once again. Wipe and rinse off the area properly. Spray the solution once more onto the area and allow to dry naturally- this will leave a layer of protection to prevent recurrence.